Introduction and Uses:Tulsi is a perennial shrub. It is the most popular medicinal plant in India. You can develop your oxygen corner in a garden by growing a patch of Tulsi. This herb plays a pivotal role in various religious traditions and Ayurvedic remedies. Tulsi can be started by seeds any time of the year, but beginning monsoon season is the best time to sow seeds. Step 1: Tulsi is grown by direct seed sowing. Seeds can be planted in a pot, planter or container filled with good quality, well-drained soil mix. Step 2: Take off some top soil (2-3 inches) from the centre of pot and make room for seed sowing. Step 3: Sow few seeds of Tulsi evenly in the pit and cover them back with soil. Step 4: Water the pot regularly, keep the seed sown surface damp. Step 5: Tulsi seeds should germinate in 1-2 weeks time, depending on the season. Step 6: Keep the container in semi shade while the germinated seedlings grow. Step 7: Thinning: Cut off extra, weak seedlings from the base after two weeks of germination to maintain proper spacing between plants. Step 8: Once seedlings are growing, keep the Tulsi container in direct sun. Keep your Tulsi plant in sunny outdoor location for best flavour. Tulsi doesn't mind growing in semi-shade. Tulsi plant requires moderate light watering every day in summers and every alternate day in winters. Add a handful of cow manure to Tulsi plant every month. 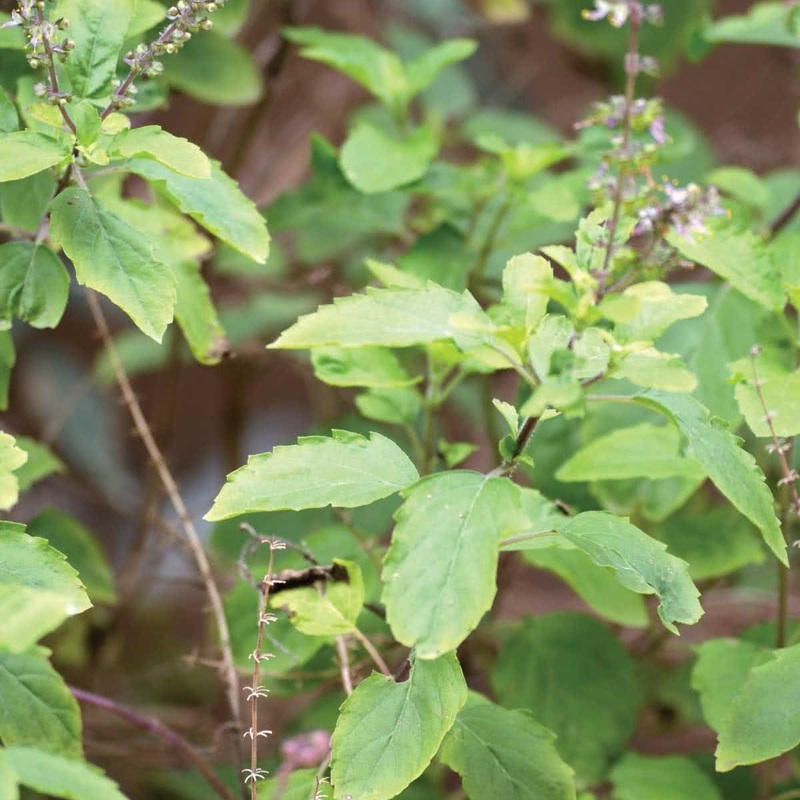 Harvest Tulsi herb whenever you need it by simply cutting off growing leafy tips and foliage. Keep pinching the growing tips & flowers of the plant as you harvest the foliage; this also helps the plant to attain bushy appearance. Never harvest more than one-third of growing plant at a time. Always look for the early signs of any insect/fungal/ any other infections. Spay appropriate fungicides or pesticides as soon as any symptoms of such diseases are spotted. Watch out for spider mites and small flying insects that infest the leaves. Spray Neem Oil/Tobacco extract/soap water to keep bugs at bay. Click here to buy plant care products online in India. Harvest leaves once they are a little dry and crisp. Store dry tulsi leaves in an airtight glass jar or plastic zipper bag. Keep it in the refrigerator or freezer to ensure freshness. Drink Holy Basil in tea for relaxation and also as an anti-inflammatory. Earlier Tulsi was used to cure Night Blindness. 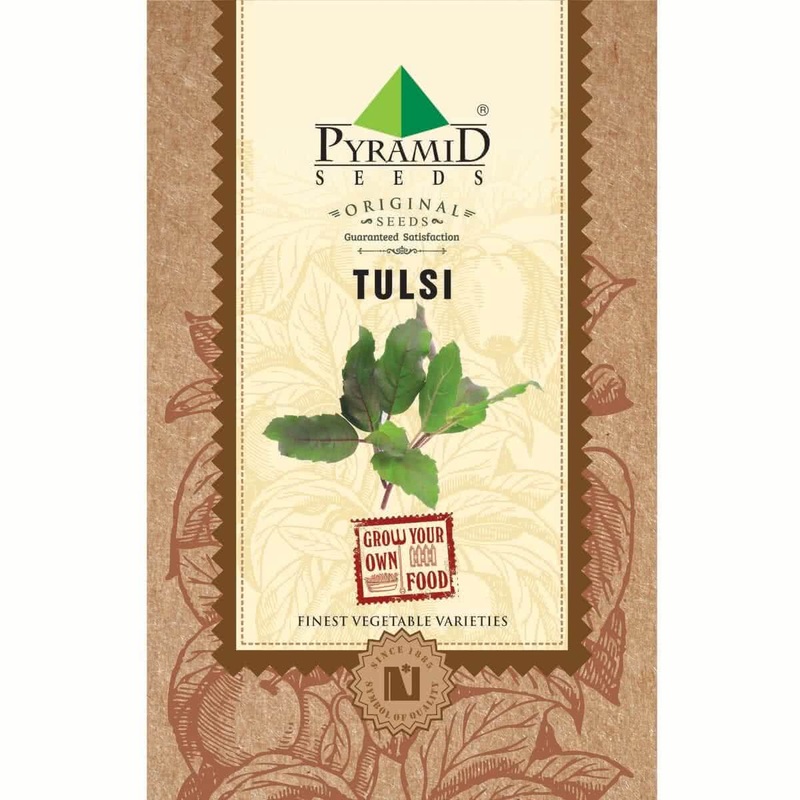 As per Indian mythology, Tulsi is used to ward off evil spirits and ghosts.